There is no end of things to do and see whether it be sporting activities or simply enjoying the magnificent natural landscapes, be it on your own, with the family or friends. To carry out whatever activity you may have in mind, you can rely on any Tourist Office to point you in the right direction. Bearing in mind your knowledge and experience, a wide variety of tailor-made activities can be easily and efficiently organized to suit your needs. Setting out on foot from the hotel, there is a wide range of walks and treks taking in the local landscape, flora and fauna and the amazing ethnographic value of the area. The Guanga Waterfall, The Ascent of Fundil, the route around the valley and the Route of The Deserted Villages are the most recommended, ranging from a short 1hr walk to a longer 4hr trek. 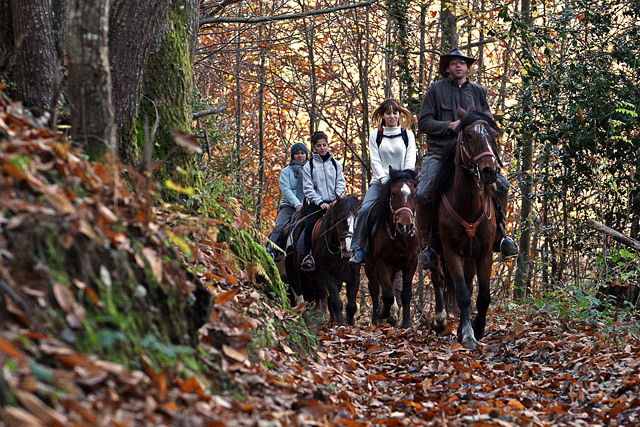 Also, depending on the time of year, magic strolls through chestnut forests in autumn and apple orchards in flower, as well as snow covered meadows can add to the overall experience of your stay. So it’s a good idea to bring some comfortable trekking boots. In Sama de Grado, the Ethnographic Museum is worth a visit along with its singular building of the old village school dated 1930. 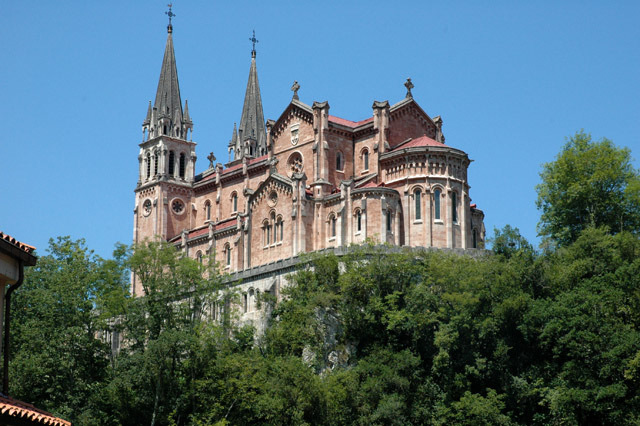 Besides this, we can help you to organize trips to the capital cities of Oviedo, Avilés and Gijón as well as visiting Pre-Romanesque Asturias including museums, monuments, ethnographic and industrial routes or visits to Covadonga, La Regenta Route or even boat trips. Professional guides are available if so desired. The gastronomic culture of Asturias is rich and varied with typical products on offer under the “Protection of Denomination of Origen” label, of which are included; La Fabada ( sausage and bean casserole ), local cheeses, Cider and Tocinillo de Cielo ( crisp puff pastry delights made in heaven ). 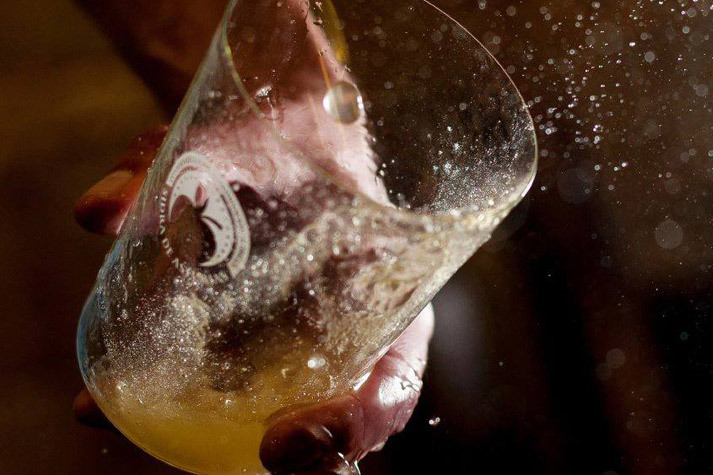 Other products you may wish to try are the vast array of seafood dishes along with succulent beef dishes, asturian stews, breads, a variety of ciders and cheeses each carrying a guarantee of quality and each unique to the region. 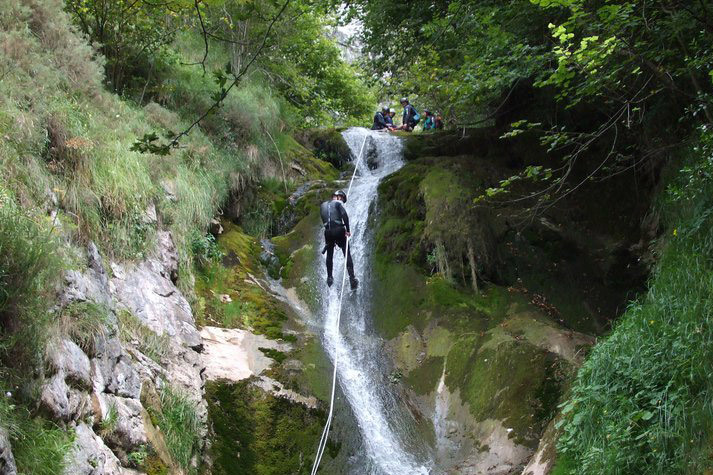 The descent of gorges via their rivers, known as “canyoning”, can be arranged from the hotel and provides a unique opportunity to see Asturias from a different perspective. Reassured by the highest level of safety provided by expert guides, you will be able to explore places which few people have seen. Emerald green rockpools, cascades and natural waterslides are some of the natural treasures to be found while practising this counter-mainstream activity. 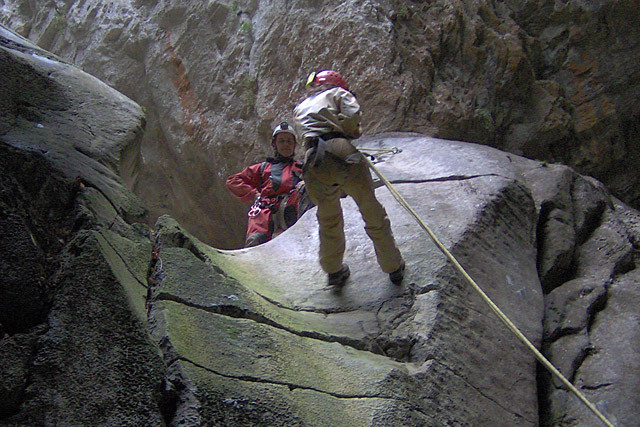 “Highly exhilarating” understates the thrill of canyoning. In the nearby districts of Quiros and Teverga, with the help of specialized schools, you can find one of the most ideal national paradises to practise rock climbing and cave exploring. The Huerta Cave in Teverga, touted as one of the largest caverns in Asturias and declared a National Monument in 2002, offers an easy walk through its enormous galleries along a wooden walkway providing a unique insight into the underworld. Fancy a journey to the centre of the Earth? This is your chance. 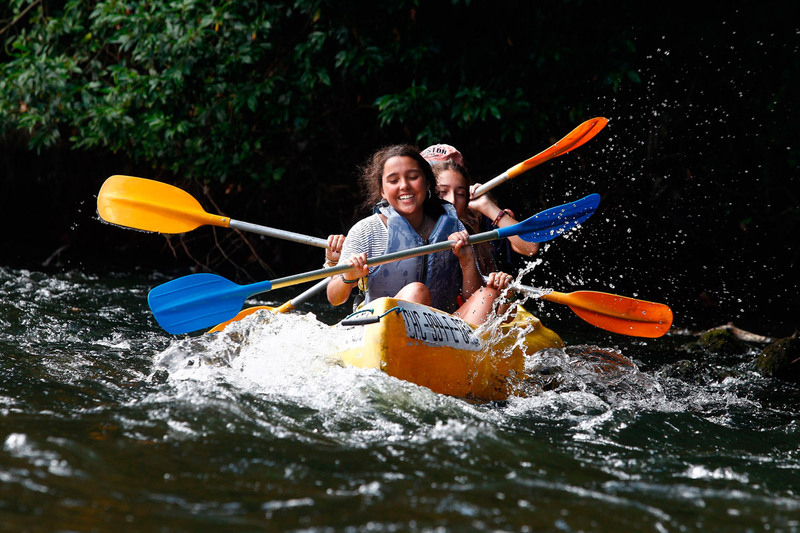 Asturias is a Paradise for canoeing and kayaking thanks to its many rivers and tributaries which flow through its beautiful countryside offering scenery and landscapes of high nature value. Hire a canoe or kayak and enjoy an unforgettable day out either shooting the rapids in any number of rivers, or taking a more relaxed descent in calmer waters like the Valdemurio Dam situated in the middle of the most majestic countryside in Quirós, which lies at the foot of giant limestone mountains so typical of the area. 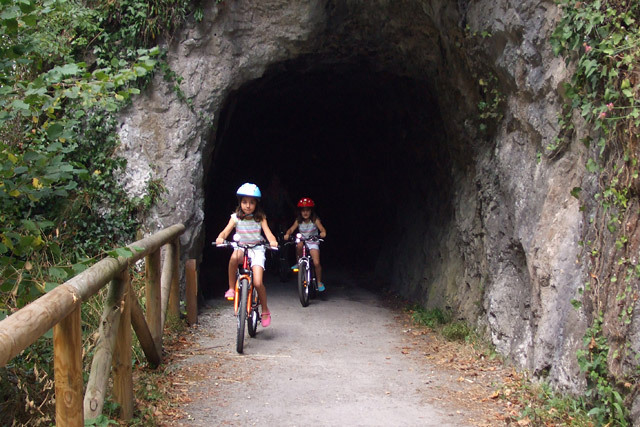 Cycling around the area near to the hotel is also highly recommendable as there are many different green routes on offer ranging from easy to difficult. At the head of The Bear Trail, a variety of bikes may be hired. ( Take your pick of tandem bikes, electric bikes, segways as well as mountain bikes. Baby seats are also available. ) Mountain routes can be arranged if you’re looking for more thrills. Transportation to these is supplied along with assistance from professionals to ensure your safety at all times. No matter if you are a beginner or an experienced jockey, take a ride on a horse where you will come across a wide variety of landscapes and get to experience firsthand the cultural particularities of the area adding to the overall experience. It’s not just an ordinary ride around the park. All routes take you through spots heaped in history and natural beauty from tiny hamlets to native forests and mountain streams while astride a noble beast perfectly adapted to the terrain at hand. It’s a real adventure. 100% gauranteed. Saddle up! 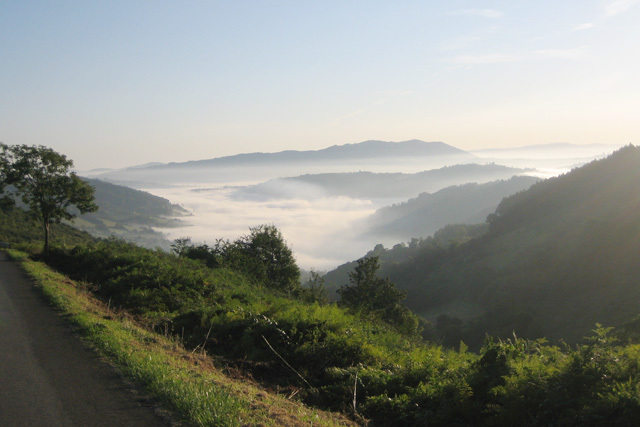 Golf is a well entrenched sport in Asturias and courses can be found throughout the whole territory notably taking advantage of the natural richness of its particular landscapes providing a most spectacular day out on the fairways and greens. A mere 15kms away from the hotel is the local golf course of Las Caldas. Here you can enyoy special green fee rates for clients of our hotel. 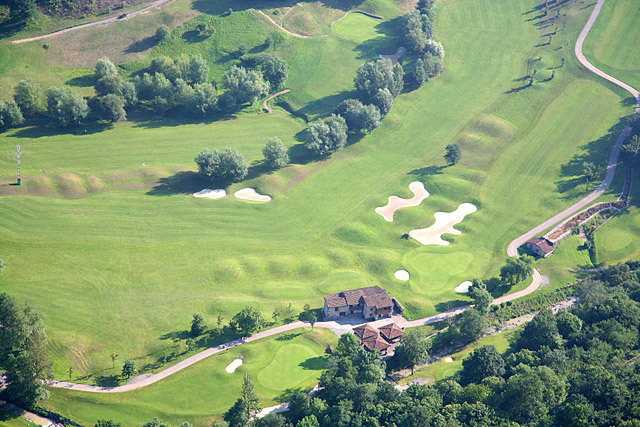 With a par of 71, tee off at your leisure on the 18 hole course. Also at your service are practice nets, buggy and club hire, putting green, clubhouse with change rooms, shop and restaurant. Individual or group lessons are offered too.